When dealing with difficult people, I always remember that "we teach people how to treat us." Yeah, that's right. We taught them that whatever it is they're doing is either working or it's okay with us. We did it in what was said, and what wasn't said; what we did, and what we didn't do. They learned it from us. We all have choices. 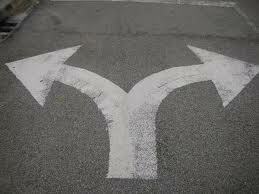 We chose something before when we put the other person into our path and we can choose something else now. I try not to make them wrong, for anything. There is just what works and what doesn't. Maybe it worked before and now it doesn't. It's empowering for me. I'm taking responsibility for being wherever I am at all times and for where I'll be next. There is no victim, no winner or loser, no right or wrong, good or bad, black or white. Just incompatibility. It can be heartbreaking when it's someone especially close to us. Here's what I tell myself; I just made some choices in the past and now I have some new choices to make. It's easy to get caught up in the blaming in my head..."what about all the mean things they did to me?" well... I allowed it. There's my power. I own it, embrace it, wrap my head around it and if it doesn't work anymore, I choose something else.